A vast majority of American Jews remain unimpressed. They are not motivated by concerns for Israel; they are not motivated by the interests of the United States and are eminently not practical about their own necessities. What they all passionately care about is social justice. Social justice, in terms of helping the sick and the poor, is deeply embedded in Judaism; for Jews, it is a case of irrational obsession. Legal plunder is when the law "takes from some persons that which belongs to them, to give to others what does not belong to them." That sounds like pretty much every “social justice” program – e.g., welfare, social security, Medicare/Medicaid, WIC, etc. – in existence. Charity is a good thing; using the coercive power of government to force people to give, and then bragging about being virtuous, is not just the sin of theft but of vanity as well. 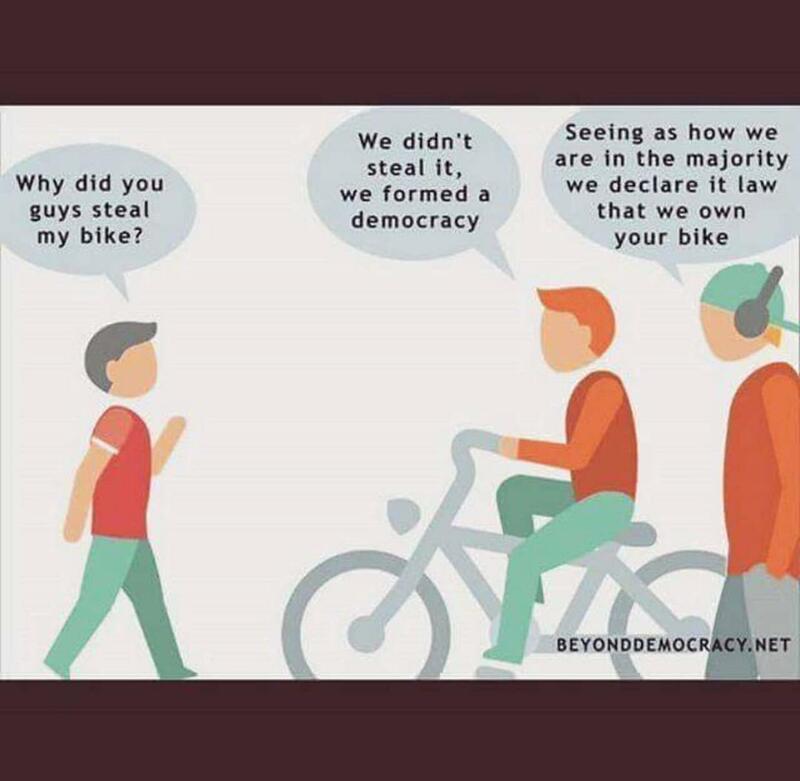 What is really remarkable is that over the last century, no social macrocosm has more consistently voted against its own self-interest and survival. We may expose Jewish devotion to socialism and shame Jews for betraying their own interests; however, conviction is stronger than reason. In American Jews and Democrats, Part I and Part II, I highlighted how the Democrats have been operant-conditioned to vote “D”. I also discussed how the Democrats are increasingly reliant on anti-Semites and Jew-haters… and how it is utterly Jewicidal to continue to vote for people who openly hate us. Just as in my two letters to American Jews' seeming affinity for helping the Islamic invasion (first, second) I appealed to – if nothing else – raw survival instinct. How does President Trump look from an Israeli point of view? Leaving aside everything else, what effects have his policies had on Israel? The answer, to the chagrin of many of my American friends, is this: no recent American president has done as much for the Jewish state as Donald Trump. So when Donald Trump finally righted a historic wrong by recognizing Jerusalem as Israel’s capital, and when he proved that he meant it by moving the embassy to Jerusalem, as three previous US presidents had failed to do, Israelis felt a breath of fresh air from Washington. When he withdrew from the Iran deal and re-imposed sanctions, mitigating the damage already done by the previous administration’s cash payments to the terrorist regime, Israelis saw that he understood the danger emanating from the Iranian regime as Obama had not. 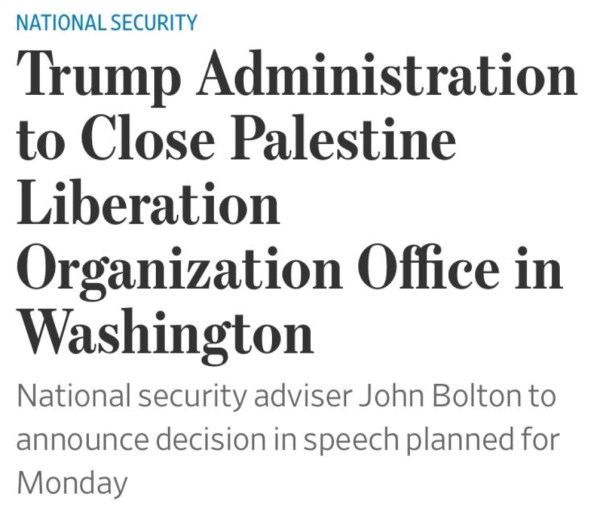 When he cut funding for the Palestinian Authority when it refused to stop paying terrorists, they saw that he would stop giving the Palestinians a free pass. 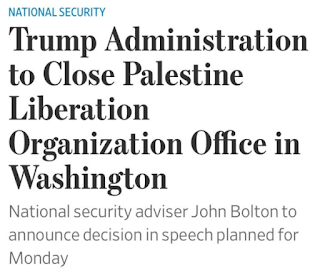 And when his administration announced that it would no longer accept the unique institution of Palestinian “refugees,” an arrangement created by the Arab states as a multigenerational weapon against Israel and – until Trump – acquiesced to in the West out of a combination of cowardice and anti-Israeli bias, they realized that for the first time in decades, a breakthrough against the stalemate in the region was possible. Section preface - flip the parties and the organizations. Would you gloss over a Republican candidate who said / did these things? I sincerely doubt it; so why do you tolerate it here? Understanding that Hamas is an entity that openly declares the use of terror against Israeli civilians – and celebrates and rewards it - what do we make of the behavior of Rashida Tlaib, the “first Muslim woman” running for Congress, and running as a Democrat (bolding added)? In this video [Laura Loomer, an independent, fearless Jewish journalist] confronts the First 'Palestinian' Muslim Congresswoman in the US. Democrats are increasingly taking the terrorists’ side. Consider H.R.1164 - Taylor Force Act intended “To condition assistance to the West Bank and Gaza on steps by the Palestinian Authority to end violence and terrorism against Israeli citizens”. Out of 169 cosponsors, 155 – over 90% – are Republican. Sadly, Booker’s move to the left may be more a reflection of the state of the Democratic party than anything else. Booker knows full well that the party of identity politics and ideological purity tests has little tolerance for dissent. If he wants to make a presidential run in 2020, then he needs the support of both left-wing activist groups and the Democratic leadership. While the Democratic leadership has been more or less on Israel’s side when push comes to shove, the recent wave of left-wing populism, heralded by socialist Senator Bernie Sanders, has placed pressure on the party’s old guard to embrace the new “progressive” coalition, the Linda Sarsours, the Islamophobia industry, the Black Lives Matters zealots, the trans activists, and, of course, the violently anti-Israel left. But he is also seen as one to watch among Democrats. He gave an address at the party’s 2016 convention, and his name was floated early as a potential for Hillary Clinton’s vice presidential picks, according to a list released by Wikileaks. Pennsylvania Democrat Scott Wallace’s charitable foundation gave $300,000 to the BDS campaign – you know, that campaign whose founder wants Israel destroyed; Boycott Israel Founder Confirms BDS Is About Ending the Jewish State – and while the local Democratic Jewish Outreach initially declined to endorse him they ultimately did endorse him after being pressured by the “Democratic” party. Let me repeat this for emphasis: the Democrats pressured a Jewish group to endorse a man who massively contributed to a group that wants Israel destroyed. Rev. Jeremiah Wright, a man with a long track record of racist and anti-Semitic statements, was a prefect (sic) fit for this latest Palestinian PR endeavor. And despite the fact that Wright was president Obama's spiritual mentor for over twenty years, the White House has refrained from commenting on his involvement with a movement designed to produce more violence and more bloodshed. Wright long ago offered his reasoning for being off the president's radar. "Them Jews ain't going to let him talk to me. I told my baby daughter that he'll talk to me in five years when he's a lame duck, or in eight years when he's out of office," said the Reverend during a 2009 interview. He also criticized the president at the time for not sending a U.S. delegation to the World Conference on Racism, an annual, anti-Semitic hate-fest that unfailingly singles out Israel for condemnation. Where were you when the former President supported a candidate by sending lots of money from you and I against Netanyahu in the Israeli elections? Talk about collusion and interference in elections. This happened, it is not speculation. Where was your righteous indignation when the Obama administration targeted conservative and Pro Israel groups? Where were you when Obama targeted some in the media, spied on several journalists and on Congress? Yup this happened. 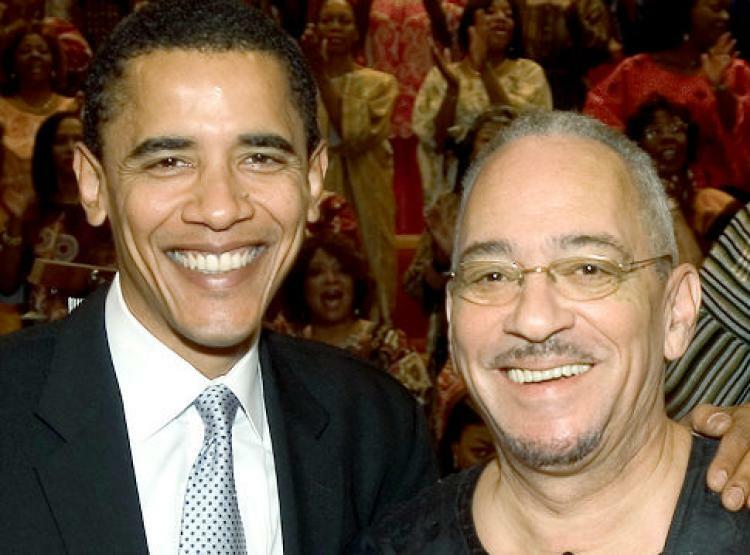 Where were you when our former President had Al Sharpton, tax cheat and renowned anti Semite to the White house over 30 times. Where were you when the former President supported the Muslim Brotherhood to lead Egypt? You know the brotherhood, the same guys who helped Hitler during the holocaust, yep those brothers. They have not changed. Where were you when our former President divided our nation into one per-centers and corporate Jet owners, black and white, and stirred the pot of race for purely political purposes? Where were you when the former President referred to the murder of Jews in France as a just a bunch of people? Where was your criticism of President Obama when he treated the elected Prime Minister of Israel so poorly, making him enter through the back door and then leaving him in the white house while he went to dinner? The President also released a picture of him with his feet up on his desk while talking to Netanyahu a huge sign of disrespect noticed by the world but not by you. Where was your criticism when the last thing that the former President did as President was to give the Palestinians over 250 million dollars and then abstained in a critical vote against Israel at the UN? The vote declared the Temple mount and Jerusalem was Palestinian land causing a huge potential for lawsuits and harassment internationally for Jewish citizens living there. I bet that many of you were okay with this declaration but not okay with the President moving our embassy to Jerusalem …. Where were you, American Jews, while all this was happening? Heads in the sand, forgetting Jerusalem even as you thumped your chests at the beautiful people cocktail parties about how Jewish you were... even as the party you belong to embraces people who want you dead. Many (secular) jews "believe" that white christian people having any sovereignty equals risk of a new holocaust. So they promote open "diversity" and borders to erode white people sovereignty and self-determination, and they also promote muslim refugee resettlement to promote a counterbalance to Christianity. Open borders and diversity eliminates both white people and Christians. This holocaust-paranoia basically justifies genocide against a 1 billion soul race. I would love to say YOU ARE WRONG, but I cannot. Now, I don't think it's even a majority of secular Jews, but I cannot dispute that there are some who do think this way. Have you seen my post G-d Damn You Barbara Spectre? The irony, BTW, of the (secular) Jewish support of the Islamic invasion is that there is this romanticized notion of being treated well - or at least better - than by Christians. The fact of the matter is that, yes, the Catholics and others did horrific things to us. Muslims in general did worse. And they certainly aim to do worse now. Great article (as usual), though about sickening subject (as usual): the suicidal stupidity of the average US Jew (and not a few overseas, esp. in Israel). 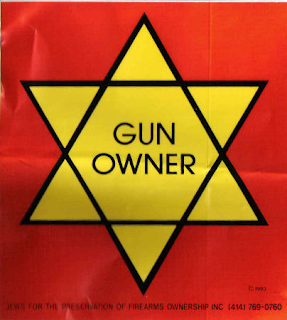 “The Jewish love affair with socialism which began in Russia with the fanaticism of the grandparents has been transformed into the fear of the parents and subsequently into the conviction of the children and grandchildren; it is embedded deeply in the Jewish DNA." My family's DNA is similar in origin, but very different. My father’s father ran from Communist Russia shortly after the end of the Revolution in 1923. Only one older brother was here - the rest of his family was trapped in the USSR until the 1990s. His father was fairly well-to-do, having worked very hard to grow a water delivery business (no running water there & then) to the point of owning many horses & carts & employing about 50 workers. Some of the profits were put into houses that he rented out - he and his sons literally built them themselves. Come the Revolution (when he was 60 or so), the Communists took everything away except the home where he lived. Fast forward to 1936: he’s now 73, suffering from cancer and unable to work. So he and my Great GM rented out 3/4 of the house to others...and, clearly, someone (probably a tenant) didn't like the "Capitalism” involved, so he got reported to the NKVD. They took this sick old man and beat the crap out of him, then left him to rot for several months in Soviet prisons not noted for their resemblance to the Waldorf-Astoria. Shortly after his release, they hauled him off again, beating him so badly that they just released him to die, which he did soon after. Thus, they murdered him. It wasn't enough to take away everything that he had worked for over the course of 50 years, but for having the temerity to want to be able to feed himself and his wife, he got beaten, imprisoned and, finally, killed. Note that Grandpa knew that his father died in 1937...but he didn’t/couldn’t know HOW and WHY because the NKVD/KGB read all of the mail going back and forth. But in 1969 Grandpa went back to visit the family. While there, he was told what had happened. I was only a kid, but I remember him coming to our house to talk about his visit, and this man whom I’d only known as a very tough guy, who had been through adversity that I could only imagine, cried like a baby. It still brings a tear to my eyes - that those BASTARDS could so destroy a family, with no second thoughts, let alone regrets. Of course, others fared worse – but still, my family suffered greatly at the hands of the Soviets. So my view of Socialism (which is Communism run by people without the guts to shoot their opponents) is, uh, “less than positive”. I hate and despise that ideology, and those who practice or admire it, so much that I cannot even put it into words. The irony is that there are those in my family, descended from the exact same great grandparents, who view things in pretty much the opposite way. Don't ask me how or why, it is beyond explanation and understanding. As for the more nationalistic Socialists from Germany, they murdered about 100 relatives on my mother's side. There are many on that side who are convinced that the Nazis were "right-wingers" and that anyone holding any right-leaning opinion is little better than them. They can’t/won’t understand that both ideologies are two sides of the same collectivist coin. They have the same end goals, and only differ in how they achieve them. Two bigger scourges of humanity could not be devised in the darkest work of dystopian science fiction...and the Jewish People have lived through both of them, while (as a whole) being woefully ignorant of how and why they should be fought). I am at a complete loss in trying to understand the depth and breadth of stupidity and self-loathing necessary to be like this. Wait, I can comment on my own blog again? Woo hoo! I will reply at length later.